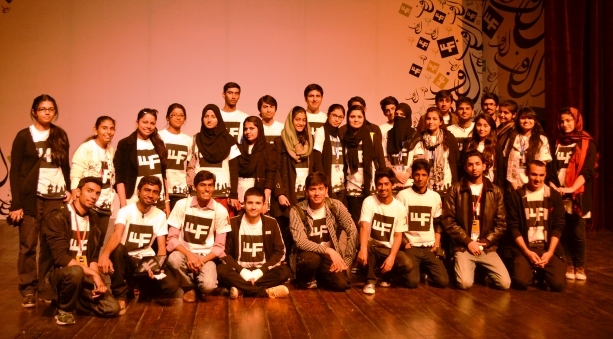 The Ewing English Society (EES), Forman Christian College was part of a three day Lahore Literary Festival that took place on 21, 22 and 23 February 2014. 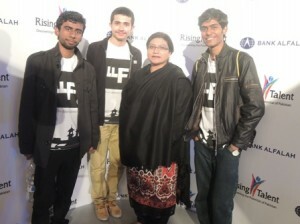 A total of 40 volunteers were a part of this event. The event in itself was a celebration of Lahore culture in terms of literature, history, politics, art, architecture, journalism and education. The advisor of EES, Ms Jacqoline J. Austin remainedpart of the event by attending it all three days and appreciated her society’s volunteers. 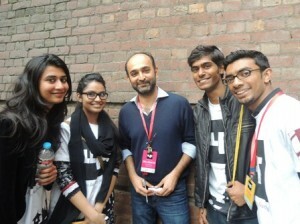 The speakers at LLF included Kamila Shamsie (renowned writer), Jugnu Mohsin (Journalist), Aitzaz Hassan (Politician), Hugh Eakin (Critic), Mohsin Hamid (writer) and about a hundred more. The volunteers were kept on their feet by the steady attendance of the audience. However, all the sweat and cramps paid off against its being an educational experience and a chance to be a responsible representative of FCC. The entire organizational structure of LLF was based on volunteers which made FCC’s contribution even more essential and special. The Lahore Literary Festival ‘14 was also special because was one of the sponsors for the event. 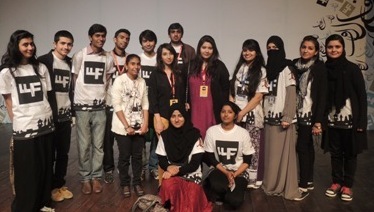 We believe that this representation will lay the foundation of a long standing and prosperous relationship with the organizing body of the Lahore Literary Festival, and for this purpose Ewing English Society was given the responsibility to recruit and train especially suited people living upto FCC’s and EES’s high standards. 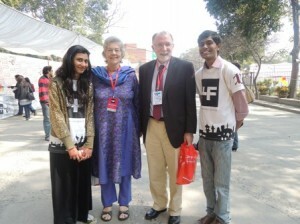 The event was also attended by the Rector, Dr James Tebbe and his wife, Mrs Beth Tebbe. The volunteers enjoyed the Kathak performance by Nahid Sidiiqui and Sachal Orchestra on the first and second day of the event. The students were really delighted to bepart of such an awesome event. This stupendous event revived the spirit of great honor and pride in our cultural heritage and we are really looking forward to LLF’15!